Bibiana in July 2015 Bibiana Patilisi has been an Action in Africa sponsored student since 2015. She joined us after her father had approached Father Vitalis, the chairman of the Action in Africa Nyaishozi committee and resident priest. 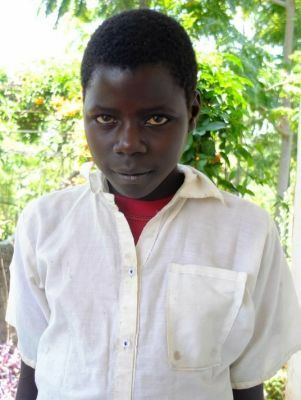 Mr. Patilis had wanted financial help to buy Bibiana a pair of shoes, so that she could walk the three hours it took for her to get to school each day. When the charity saw the family’s desperate living conditions, it became clear that Bibiana would benefit from the Action in Africa education sponsorship programme, which would allow her to board. Fortunately, Lewis Bilaro, headmaster of Nyaishozi Secondary Boarding School at that time, was able to enrol her straightaway. In Tanzania, 15 year old girls are in danger of being ‘married off’ if they are not in full time education. As schooling is not without expense, Bibiana was fortunate that her father realised how important her education was and that he was keen to find a solution. It was always a concern that, regardless of her desperate living circumstances, Bibiana might not settle in her new surroundings and may miss her family, who obviously loved her very much. 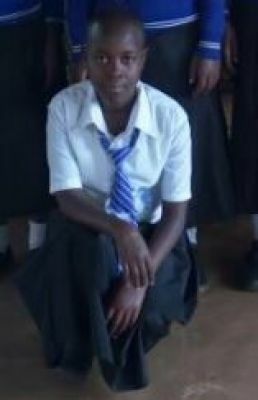 All concerns proved groundless as Bibiana is thriving at Nyaishozi Secondary School. She is academically bright and very popular with the other girls. Action in Africa focuses on children who without the charity’s help would not be able to afford to go school. We want to give children who find themselves in difficult circumstances an opportunity to learn, to lift not only themselves, but their families out of poverty. We hope that by sponsoring these young men and women, they will also enrich the lives of their neighbours, who will benefit from their expertise. 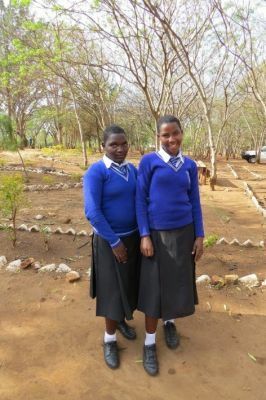 Action in Africa has since gone on to sponsor another three young women who have joined Bibiana at Nyaishozi Secondary School. Because these young women have been living in desperate poverty, their education had been disrupted, whereby they have only been able to attend school when their extended families have been able to afford to send them. Action in Africa has committed to funding their education through to its completion.